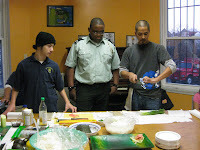 AALEAD held a mini workshop on “Sushi; its history and how to make it”, which was well attended by the students on December 3rd 2009 in DC. 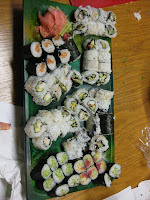 Students had to do a group activity at the start where they explored what Sushi means and how did it become very famous. Students found it interesting that it started from China first and became famous in Japan afterwards. 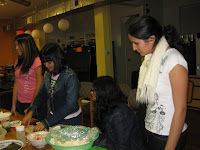 They were also given orientation about the material being used especially ingredients and tools required to make it. 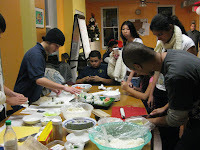 It was great fun for all the students to see first how it’s being done and then making different kinds of Sushi by themselves.